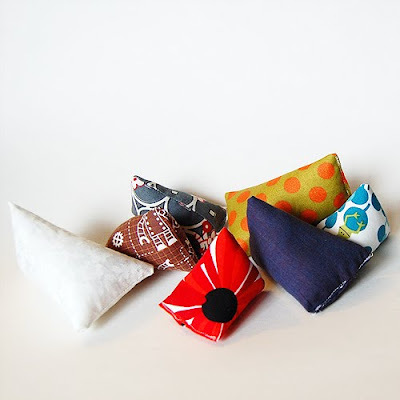 These little pincushions are super quick and easy to make! They use the same idea as my paper gift bag ornaments, only they are fabric (thanks to Cameron for the idea)! 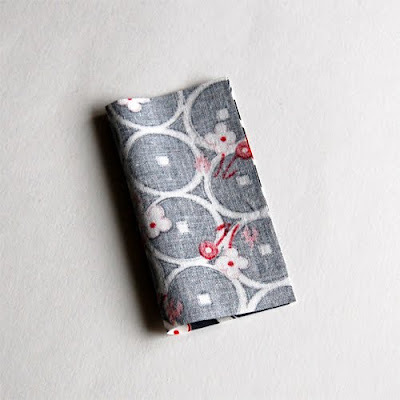 You can use scraps that are either rectangular or square, and as long as you can manage tiny work they can be as small as you please! They are great to stick into sewing kits as well (fill a mason jar with a pincushion, tiny scissors, some thread, needles, buttons, etc and you have easy, cute readymade gifts!). 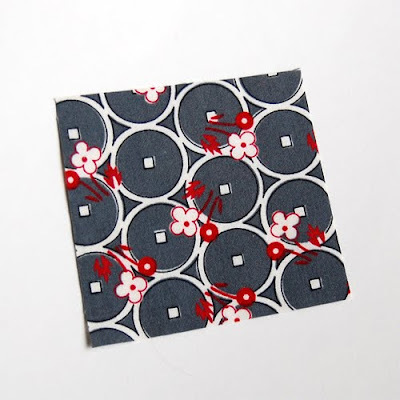 To begin you will need a scrap of fabric, cut to a square or rectangle. The example shown is approximately 4"x4". Next, fold it in half, wrong side out. 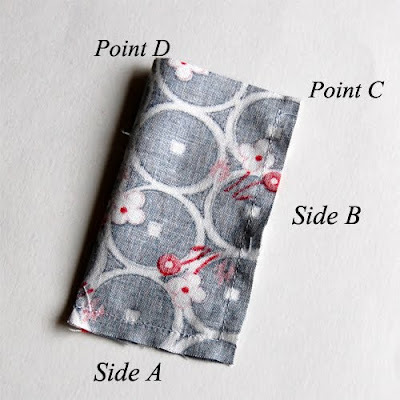 Sew shut on two sides as pictured below (sides A and B should be stitched shut). 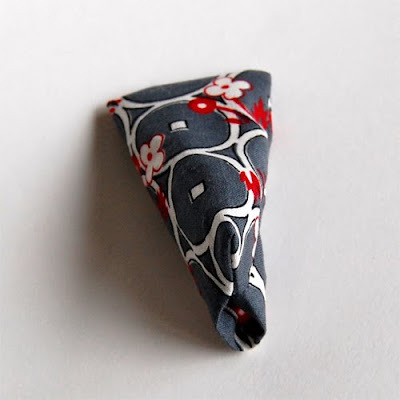 Next, fold your third side together so points C and D overlap in the center of your fold. 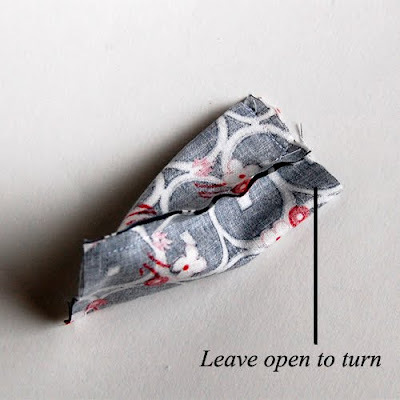 Pin and sew from outer edge, to point where C and D meet. 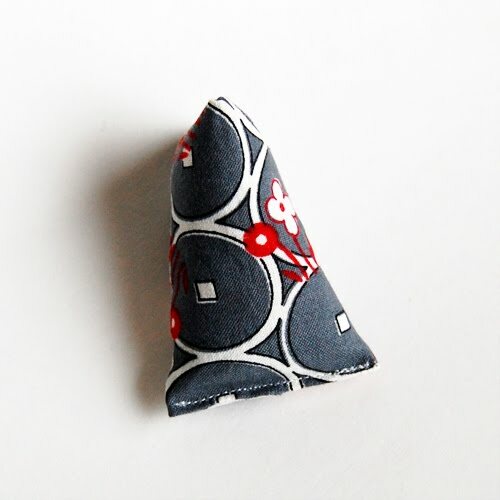 Turn your pincushion right side out and stuff with batting as desired. After stuffed, sew shut by hand or with machine. I think these are super cute on their own and often keep extras I have made in a little bowl or candy dish. They'd also be great displayed in an apothecary jar, which I have yet to invest in but think they are great. More scrap projects coming up, stay tuned! Saw similar one @ the AQS Museum...filled with rice. Had a few little parts that made it look like a little chicken too. Really cute. Glad to find your tute.